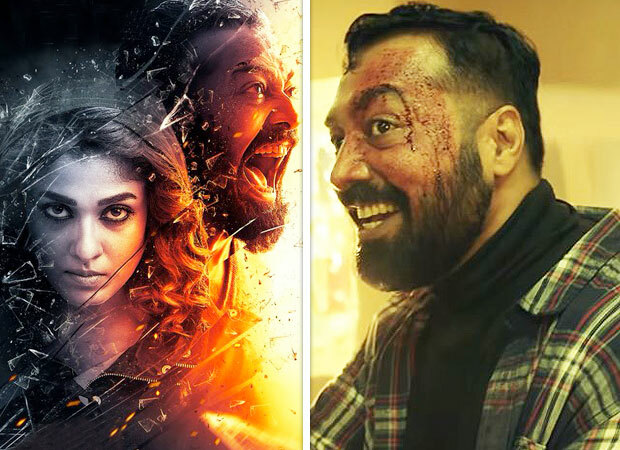 Anurag Kashyap made his acting debut in Tamil with Imaikka Nodigal. The filmmaker, who has played some important roles in Bollywood films, turns villainous for this South film. Anurag plays the extreme antagonist in this Nayanthara and Atharvaa Murali starrer. Imaikka Nodigal, not surprisingly, explores the immense acting talent of Nayanthara who is known for her powerful performances. After bagging the Filmfare Award this year for Aramm, the actress has now taken a step further with her action packed avatar of a cop. On the other hand, another Filmfare Award winner of the year, Vijay Sethupati will be seen in a cameo in the same film. He will be playing the role of Nayanthara’s husband. What left us surprised is the menacing way in which he has played the villain! Anurag Kashyap looks as scary as ever and he will definitely instill fear in you. The film will feature Atharvaa Murali and actress Raashi Khanna as the other couple. It is quite evident that Imaikka Nodigal is a cat and mouse game between the criminal and cop. However, the thrilling elements and the psychotic killings only add to the drama and intrigue. As the trailer says it all, the most interesting part is the chase game between Nayanthara as a cop and of course, not to forget the creepy act of Anurag Kashyap. This sneak peek of Anurag’s role only makes us want to see the filmmaker doing similar roles in Bollywood too! Don’t you think so? Furthermore, although the plotline does touch upon how the entire cop drama turns against Nayanthara and her family, the trailer doesn’t give away too much and that is a plus point definitely! Speaking of Imaikka Nodigal, the film is directed by R. Ajay Gnanamuthu and written by Pattukottai Prabhakar. While the music is given by Hiphop Tamizha, the director of photography for the film is R.D Rajashekhar. Who Wears Short Shorts? Bradley Cooper!